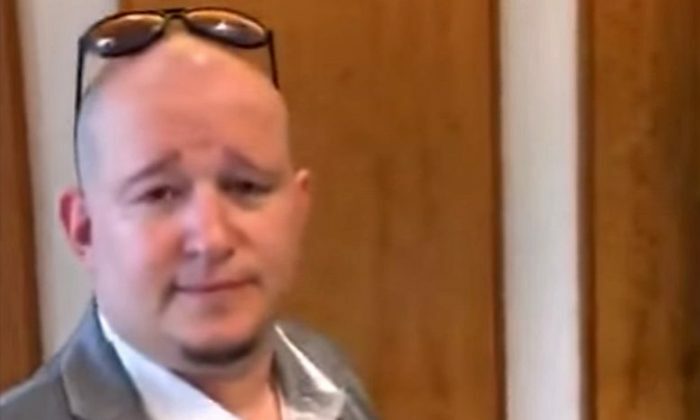 Bernie Sanders supporter, Shawn Lucas—who was shown in a viral YouTube video serving the Democratic National Committee (DNC) a lawsuit over the organization’s favoring of Hillary Clinton over Bernie Sanders—has died, according to a report. Lucas’s death was “classified as a Death Report, pending the results of an autopsy,” police told the hoax-debunking website. Meanwhile, GoFundMe page was set up for Lucas’s funeral expenses. There has been rampant speculation on social media about his cause of death, including it being murder. According to the lawsuit, the name Shawn Lucas was listed in a suit filed in the U.S. District Court for the Southern District of Florida. “On July 6, 2016, Plaintiffs filed affidavits of service of process, in which Shawn Lucas and Brandon Yoshimura of One Source Process, Inc. claim to have served Rebecca Christopher (described by the affidavits as a “Creative Strategist”) with process for both the DNC and its Chair at 1:30 p.m. on July 1st,” it reads. Snopes also contacted Lucas’s employer this week, asking if there was truth to the rumor about his death. A person who spoke with the website said he died on Aug. 2, 2016. Epoch Times reached out to House for comment. In the (above) video posted on July 3, a man identified as Lucas served the DNC and its then-chair Debbie Wasserman Schultz with a class-action lawsuit. It went viral at the time. “Shawn and Ricardo film and serve process on Defendants DNC Services Corp. and Chairperson Debbie Wasserman Schultz at DNC’s headquarters in Washington, D.C., in the fraud class action Wilding et al. v. DNC Services Corp. et al,” the YouTube video description reads.